WE launches the Asia Pacific Chapter in Hong Kong & Sydney. WE Europe launches in Frankfurt & Zurich. WE Europe launches in Paris. WE celebrates its 1 year anniversary with a breakfast at the InsideETFs Conference in Florida! WE US launches in Washington D.C./Baltimore. WE goes international with the launch of chapters in Europe and Canada, with London & Toronto leading the way. WE US launches in San Francisco. WE US launches in New York City. WE US launches in Chicago. WE US launches its first city in Boston. 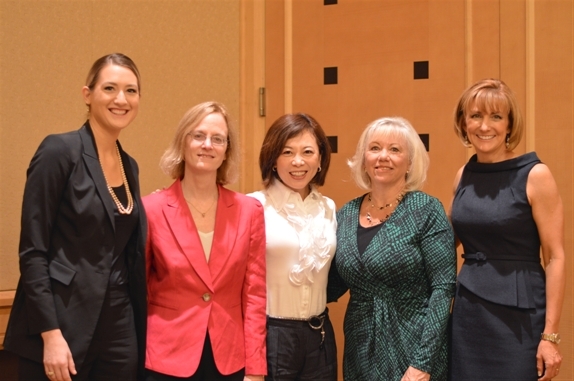 Founded in January 2014, Women in ETFs brings together women in the ETF industry in the United States,Canada, Europe and Asia Pacific to CONNECT, SUPPORT, and INSPIRE. WE announced its board of directors as well as global and regional leadership teams in July 2014. Additional details can be found in our press release.